Our team member, Eliseo, helping our clients maximize their energy savings. We have a team of 5 window cleaners on Grand Ave. in Oakland today cleaning windows for a large commercial office space. The job also includes solar panel cleaning. 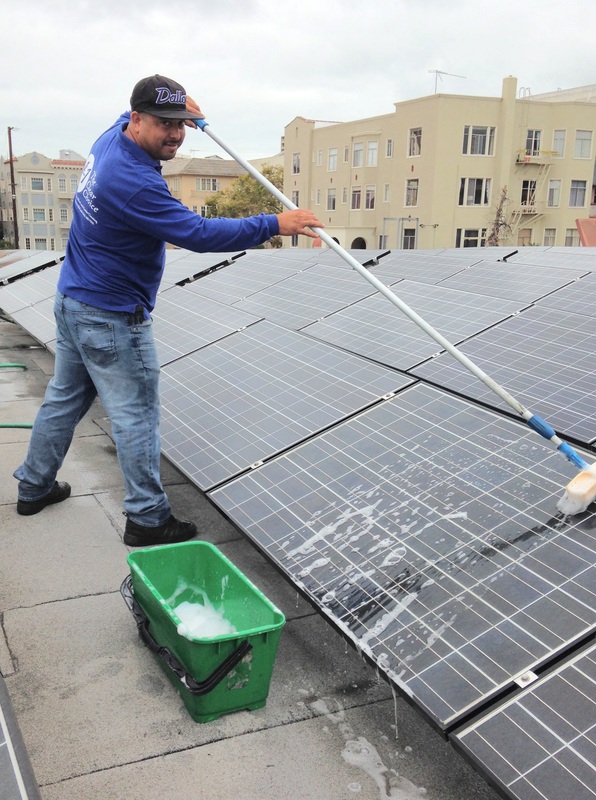 It’s important to have your solar panels cleaned regularly to ensure peak energy output. Studies estimate that solar panel performance can increase by 25-30% when cleaned on a regular basis (at least 1-2 times per year).